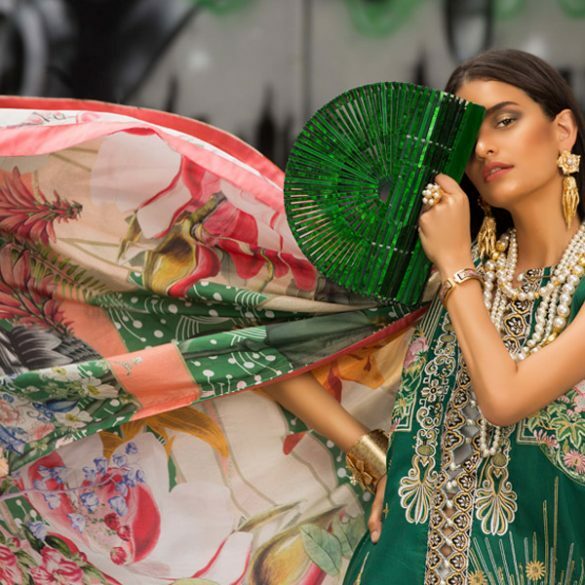 A powerhouse in the world of fashion; Sana Safinaz are back once again with their highly coveted Ready To Wear Spring’19 collection. 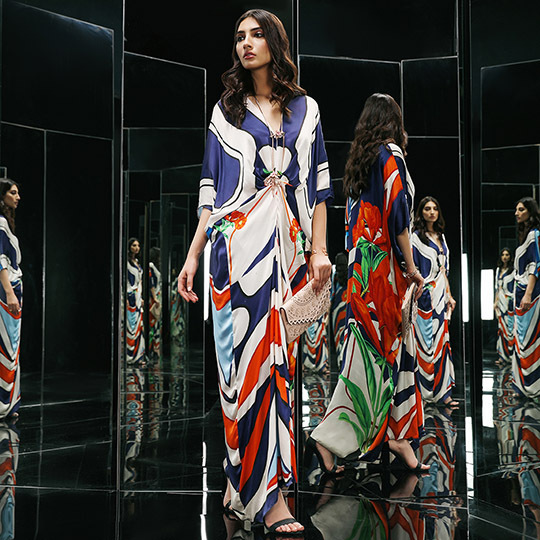 The range features a fabulous array of choices for women of all ages- including solids with floral details, luxurious silks in lush hues along with foulard prints that are definitely on trend! The label is known for its sleek, contemporary and streamlined cuts appealing to women everywhere. 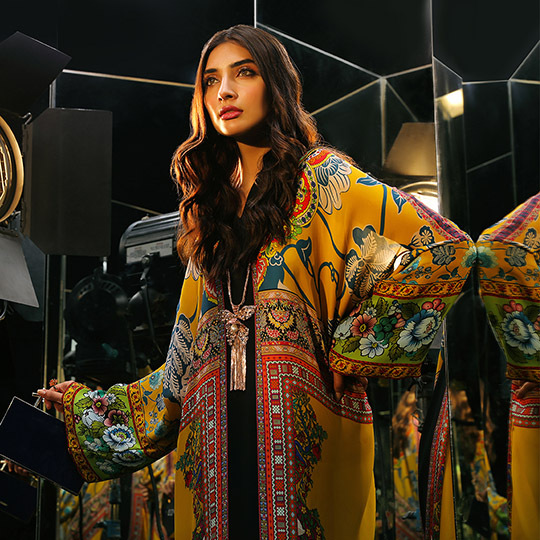 This season make a style statement with a myriad of collections including intricately embroidered pieces, signature Sana Safinaz prints and bold color schemes bring each ensemble to life. Inspired by botanical illustrations, chinesorie, Turkish carpets and Suzani rugs with an emphasis on using fresh, vibrant colors to enhance every look. 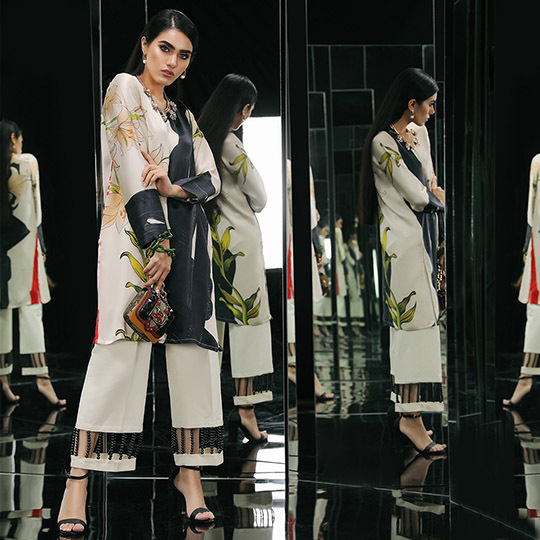 We’ve got our eyes on their monochrome striped kurta with color blocking; complimented with lush shades of blue embroidery in the form delicate florals giving this outfit that extra oomph! 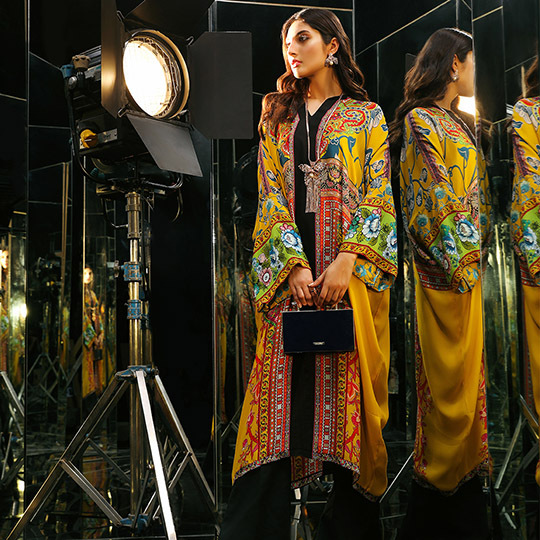 Add a splash of color to your Spring wardrobe with their chrome yellow look complete with bell sleeves and whimsical prints- slip this on and you’ll definitely be turning heads wherever you go. 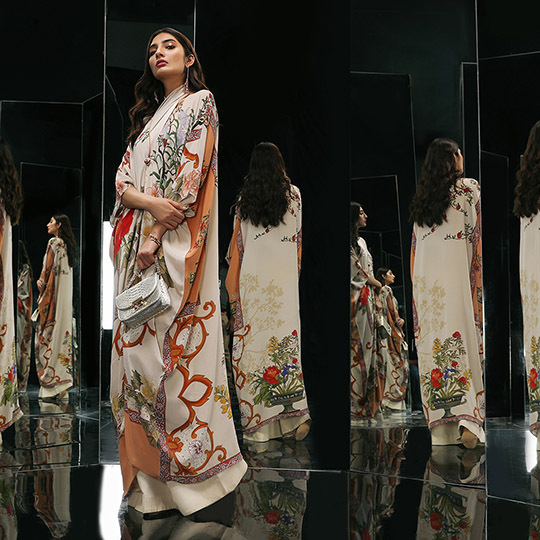 So ladies, have a look at our top picks from the collection below and head over to your nearest Sana Safinaz store today to get your hands on some fabulous new outfits. 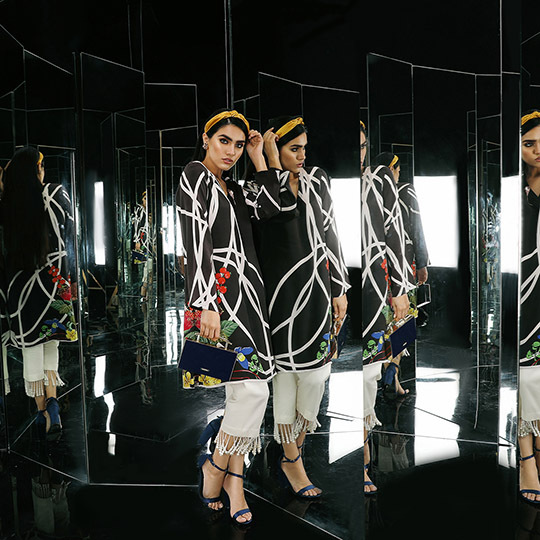 What's In Store: Natasha Kamal's End Of Season Sale!